Metso reached another significant milestone in Lokotrack sales by delivering today the 500th unit sold to Germany at Steinexpo, the biggest quarry exhibition in Europe. The LT120 jaw plant was received by Andres Erdarbeiten GmbH, a family-owned crushing, screening and recycling contractor. 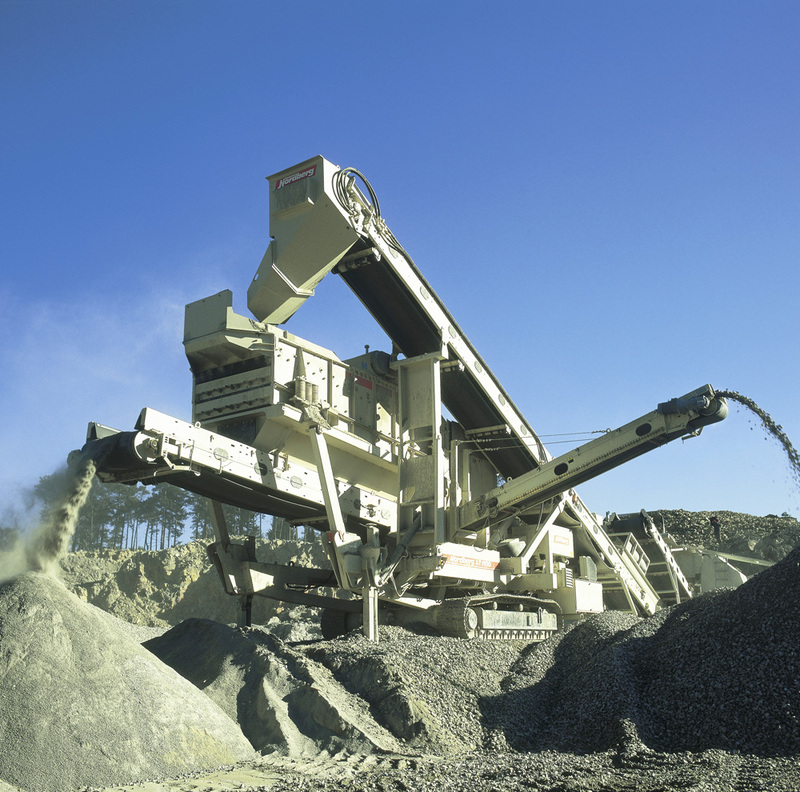 Globally, Metso has sold over 7,000 Lokotracks. “Metso’s German customers were interested in the mobile, track-mounted Lokotrack crushing plant concept right away after the commercial production started in the Tampere works, Finland in 1985. In Germany, customers noticed quickly that the track-mounted units are more economical while the crusher could be moved to the rocks,” comments the sales success Hugo van Benthem, Metso’s Distribution manager in Germany. : Der 500ste in Deutschland verkaufte Lokotrack , LT120 Backenbrecheranlage, wurde auf der Steinexpo an Andres Erdarbeiten übergeben. 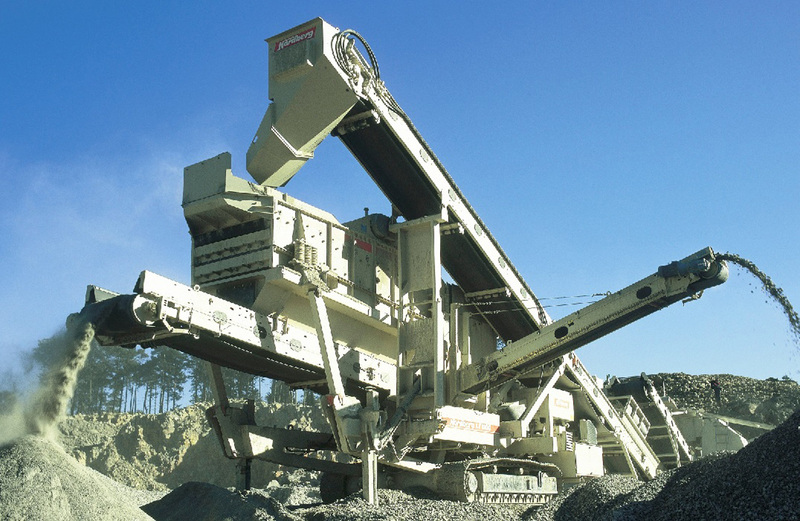 The first Lokotrack deliveries to Germany in late 1980s included often two-stage plants for crushing and screening in hard rock quarries. A typical combination was a tracked LT100 jaw and LT1100 cone plant. A German company ABAG purchased these units over 30 years ago, and are still running the same crushers, which proves something of the longevity of the Lokotrack range. “Today, Metso’s Lokotracks used in Germany cover well all customer segments, from light, easy-to-transport contracting and recycling plants to sturdy, high-capacity mobile quarrying crushers. 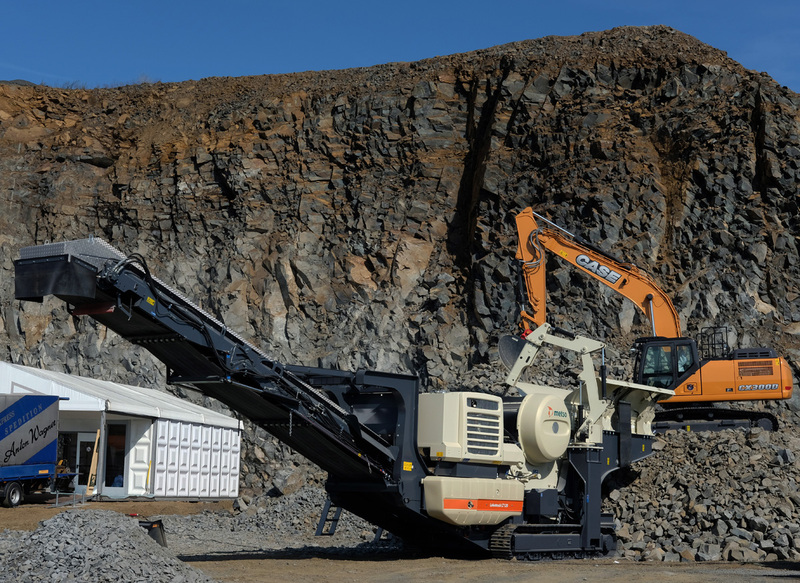 Our German customers like also Metso’s in-the-pit primary crushing concept with jaw plant connected to a mobile conveyor system,” explains Joachim Höft, Sales manager of Metso Germany GmbH. Andres Erdarbeiten GmbH is a family owned company with Diethardt Andres as the Owner and Managing Director. Based in Mendig, Rheinland-Pfalz, the company was founded in 1993 and deploys activities in quarrying, contract crushing, recycling, transport, soil handling and processing. The company has successfully operated Lokotrack LT105 jaw and LT200HP cone plants for over a decade in varying applications from tough basalt through to recycling of mixed demolition waste. Besides for crushing for building materials, Andres Erdarbeiten’s stone saw plant processes the top-quality basalt to accurately pre-programmed dimensions for stairways, kitchen tops and decorative applications. Der Lokotrack LT1100, eine Kreiselbrecheranlage mit Sieb, ist einer der meistverkauften Lokotracks in Deutschland. Im Jahr 2001 war die Anlage in einem Steinbruch in der Nähe von Osnabrück im Einsatz. Lokotrack branded crushing and screening plants and mobile screens are sold in Germany by Metso Germany (quarry units) and two experienced distributors, Fischer Jung and HSB (contractor units). “Good reputation, reliability using first-class components, high crushing and screening efficiency and excellent resale value are the backbones for our successful Lokotrack sales in Germany. On top, we are offering our customers with responsive, wide ranging service,” comments Managing Director Thorsten Plew of Fischer Jung GmbH.